Out & About : Squad – Communicate. Coordinate. Conquer. Do you like tanks? We like tanks. While we gear up the development of more war machines, we thought we would share an insight into a new workflow we are refining. In a bid for continual improvement, we have employed photogrammetry, which is the process of recreating objects in 3D from a set of photographs. By taking photographs from as many different angles as possible, software can find common points in each. Through triangulation, specialist photogrammetry software can then calculate the position of these points. Do this many, many times, and you end up with with a ‘Sparse Point Cloud’ vaguely defining the shape of the object photographed. Interpolating these results yields a ‘Dense Point Cloud’, and from this, a high-resolution 3D mesh and texture can be produced. 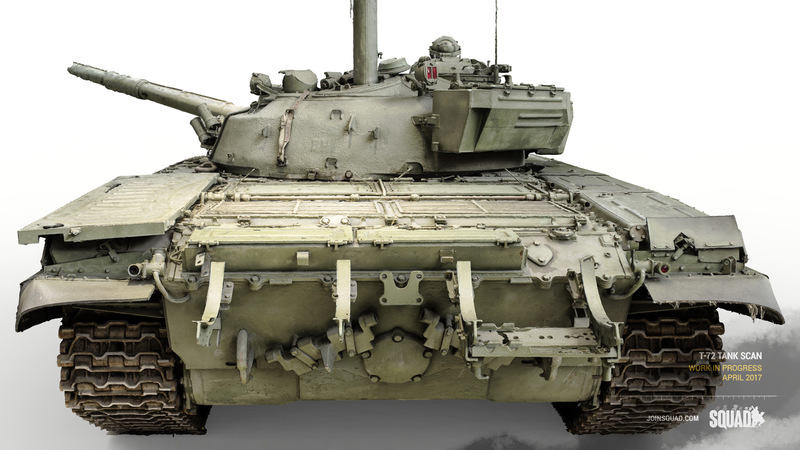 Development of tanks for video games is a time-consuming process. Especially if, like us, you care about accuracy. Insuring proportions, shapes and details are correct can be difficult and drawn out. This is usually done by ‘eyeballing’ reference imagery and matching parts to known dimensions. A lucky artist will have access to some blueprint material, but these can often be incorrect or unhelpful. To alleviate this issue, we concocted a plan. A plan to ensure accuracy and reduce development time. We headed out to The Tank Museum in Bovington, UK. What awaited us here was a large array of distractions in the form of a plethora of armour. 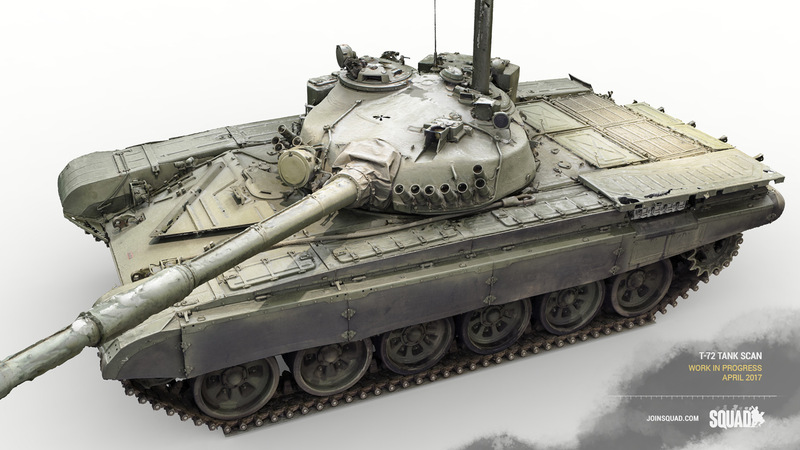 Nonetheless, we set our sights on our targets – an East German T-72M1, a Challenger 2 V5 Prototype, and a Russian T-62. 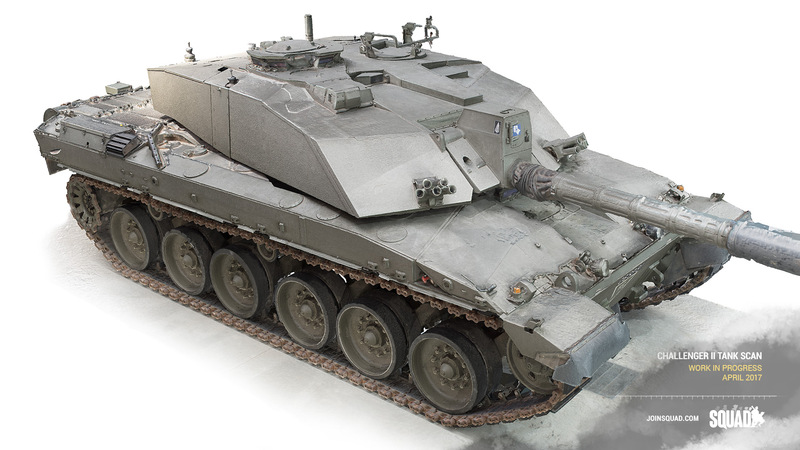 Our intention was to scan these tanks, with a view to replace our entire ‘block out’ phase of development. Blocking out is the process of establishing general proportionality in a rough model before embarking on the process of subdivision modeling. Moreover, although these are not the exact models we need, only small modifications will need to be made. A 3D scan would provide us with all of these proportions to a significant degree of accuracy, in a fraction of the time. We set up our tripods and got to work, marching up and down ladders to capture the full glory of these beasts. We shot them a good 1600 times, capturing approximately 500 images of each. DSLR cameras with wide angle lenses were essential here – allowing us to get in close and capture a lot of tank per shot. A low ISO of around 100 and an aperture above f10 also increased the image quality and thus the software’s ability to track key points. Considering we aimed to capture the basic shapes, we were taken aback with the quality and the complexity of the results. 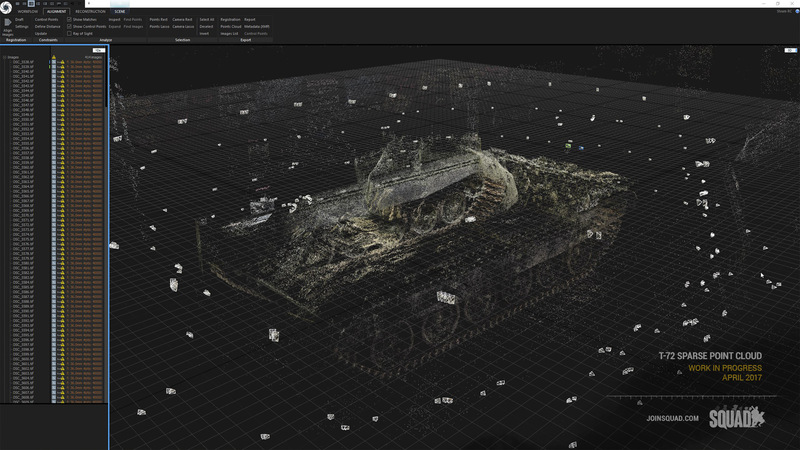 The level of detail captured will further aid accuracy and detail replication. There are some considerations to be made when undertaking photogrammetry. Lighting must be consistent throughout the shoot, to aid in the software matching points. This is especially important if using the texture information in-game, so the colour and exposure remain uniform. Ideally, we would want the lighting to be entirely neutral – so not to conflict with the physically correct lighting. While we were not aiming to use these models in-game but purely as a reference, we did take the opportunity to do some experimentation with neutralizing the effect of lighting in the museum. The technique, we reasoned, could be especially useful when applied to environment assets. 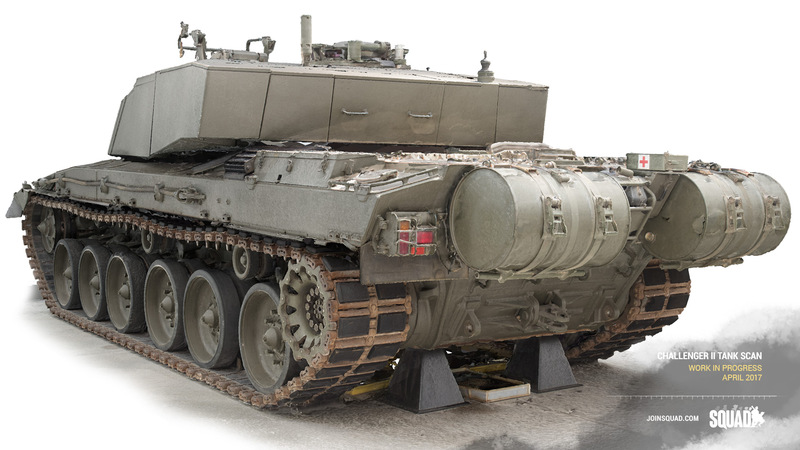 This could be achieved by taking a high dynamic range photosphere of the museum, using a camera mounted on top of the relevant tank. To accomplish this, we used a Nodal Ninja panoramic head and a 10.5mm rectangular fisheye lens. Then seven brackets were shot with 1 EV increments, in 8 different positions. This technique was then processed and stitched, ultimately producing a high dynamic range, 360 view photograph. Using this as an environment map in 3DS Max and utilizing a photograph of a ‘Chrome Ball’ to correctly align it with the model, a lighting map can be baked out using the mental ray renderer. Dividing this in Photoshop, should, in theory, produce a texture map with the lighting removed. 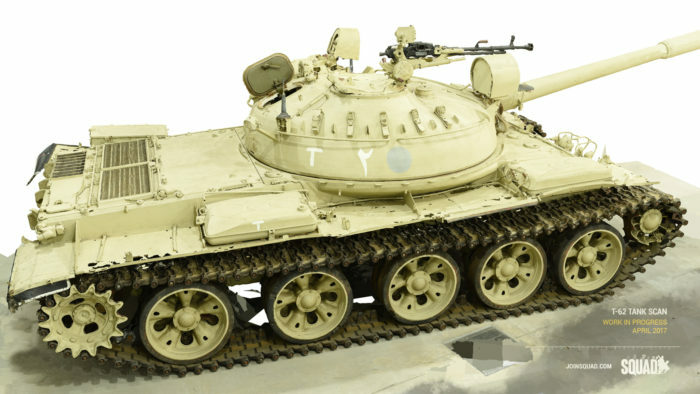 This did not work for us in practice this time, but the setup did allow us to capture the T-72 interior. We identified a couple of areas of an issue with this process. Firstly, you cannot recover colour data where the exposure is too low. Secondly, artificial lights do not translate well in this manner. Shadows produced by mental ray were soft where they should have been sharp; this is likely due to reduced dynamic range and lack of directionality. Properly balancing light levels, especially around the tracks and areas illuminated by spotlights, was impossible. Incorrect exposure destroys details in scans, but we found a stop-gap fix of using mixed exposure settings. Our proposed solution for future scans is to take three brackets of exposure and collapse these into 32-bit TIFF files. This will give the software a greater range of detail to work with, and tone mapping the resultant texture will yield properly exposed textures. The issue of spotlight shadows could theoretically be solved by probing the spotlight luminance individually and placing lights in 3DS Max, but this is beyond reasonable for our process. Overall, our trip was a big success concerning results and experience. 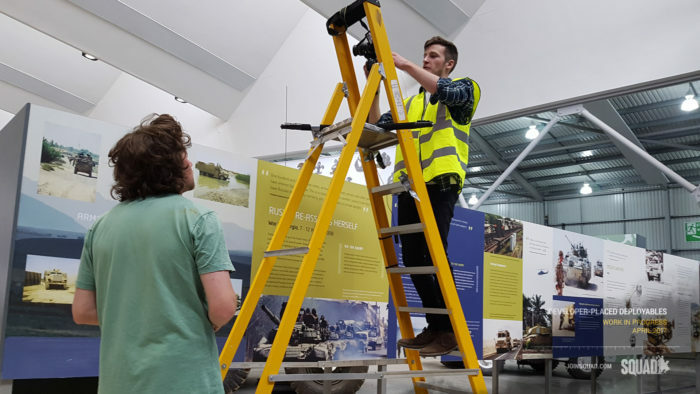 We are looking to return to Bovington to employ this technique again in the future. We thoroughly enjoyed our time at The Tank Museum and would like to thank them for having us. They run an excellent charity dedicated to preserving the history of these magnificent machines, along with the people who crewed them. A few of us will be visiting again in June for Tank Fest, and we hope to see some of you down there! 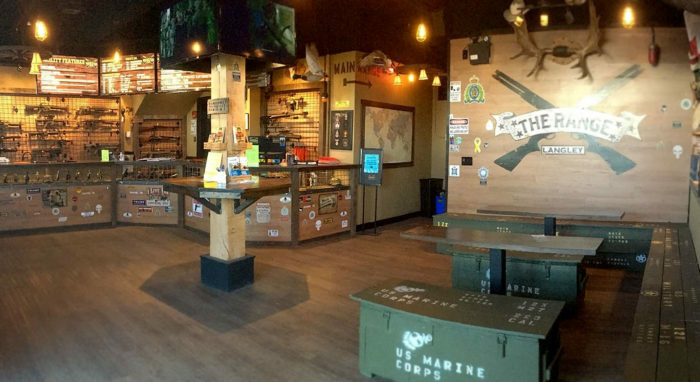 In an attempt to do more ‘hands-on’ research for our Animation and Game Design team, the team decided to take the opportunity to go to a local Vancouver gun range! 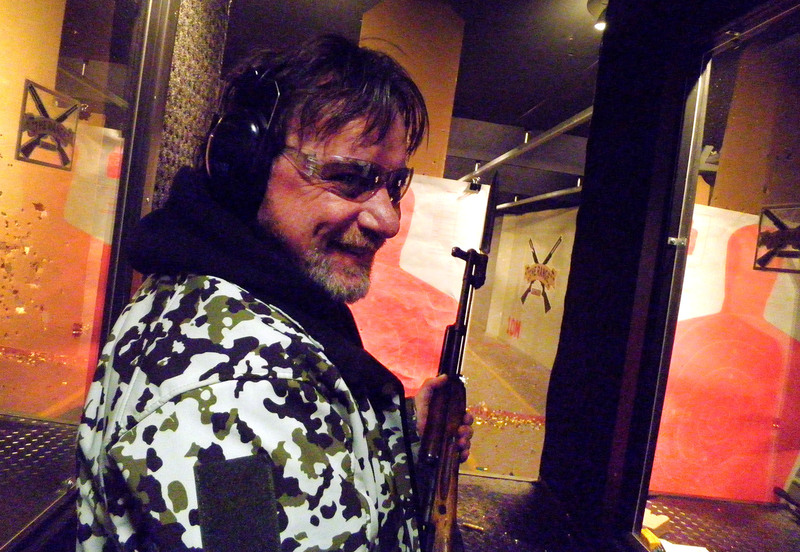 Our very own Military Adviser and Game Designer SgtRoss was also in town, flying all the way up to Vancouver from Texas, so the experience at the range was just as enlightening as it was fun. The Range Langley was the place that hosted us for the day, an indoor 25m long range that accommodated all kinds of firearms and shooting needs. We also were treated by a couple of friends of OWI, Original Project Reality Founder ‘Eggman’, and his friend Jan. 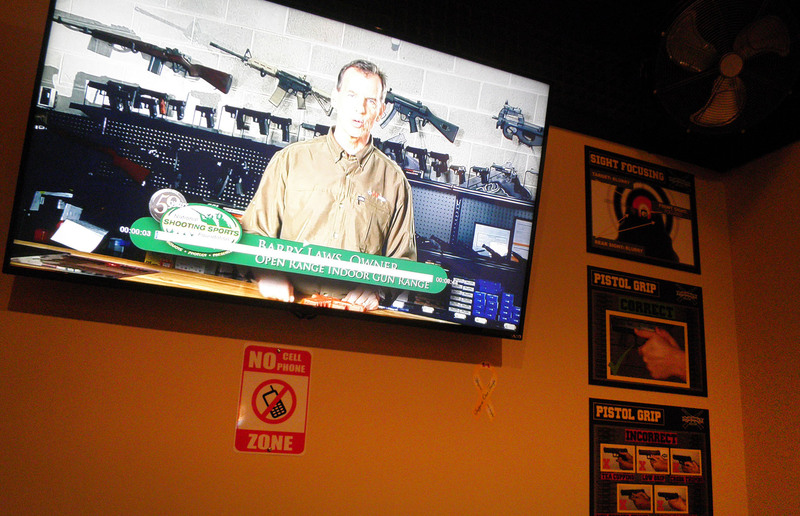 They were kind enough to provide a lot of the firearms we would shoot during the day, as well as the ammunition. 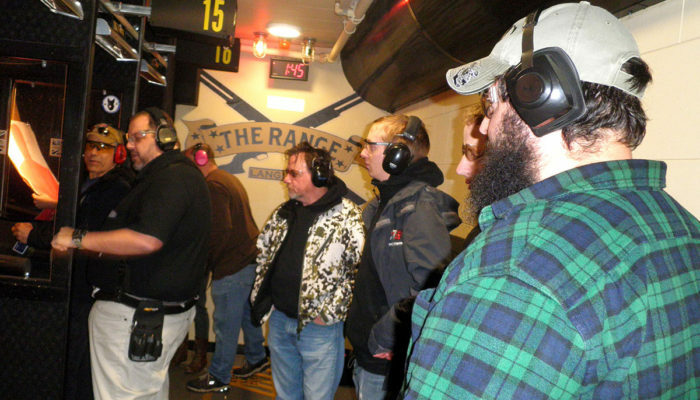 The team that was present (Chuc, Merlin, Norby and SgtRoss) got a lot of valuable first-hand experience of shooting firearms, but also discussing in-game applications and also seeing how a trained veteran expertly handle firearms. Reference material shot on the day as well as a study of the target groupings shot at various CQB ranges will provide the team with a valuable touchstone for firearms handling in Squad for the upcoming new animation system.